Over 2,000 5-star reviews! Called "A Terrifically Entertaining Thriller!" 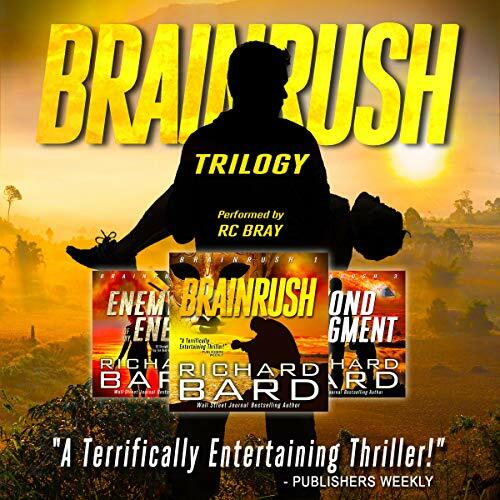 by Publishers Weekly, Book-1 of the Brainrush series was named The Wall Street Journal #1 Bestselling Action/Adventure in their "Guide to Self-Published Big Sellers", while Book 2 held a death grip on the #1 or #2 slots of the Amazon Top-Rated (best reviewed) Mystery/Thrillers list for 10 straight months. 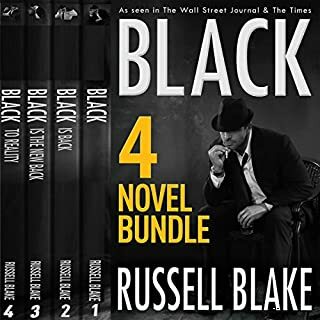 This set the stage for the blockbuster release of the final book in the trilogy, which was heralded by Suspense magazine as "part science fiction, part thriller, part suspense, part love story, and part mystery. It's got it all and that's what makes this novel one of the best." Before he slid into the MRI machine, Jake Bronson was just an ordinary guy with terminal cancer. But when an earthquake hits during the procedure, Jake staggers from the wreckage a profoundly changed man, now endowed with uncanny mental abilities. An ocean away, Luciano Battista wants a piece of Jake's talent. Posing as a pioneering scientist, the terrorist leader has been conducting cerebral-implant experiments in a sinister quest to create a breed of super jihadist agents...and Jake's altered brain may be the key to his success. But Jake refuses to play the pawn in an unholy war - and when an innocent woman and autistic child are taken hostage to force his cooperation, he embarks on a jihad of his own. Jake and his band of loyal friends are thrust into a deadly chase that leads from the canals of Venice through Monte Carlo and finally to an ancient cavern in the Hindu Kush mountains of Afghanistan - where Jake discovers that his newfound talents carry a hidden price that threatens the entire human race. The wild ride continues from the beaches of California to a raging underground river in Mexico, the rain forests of Venezuela, the Mediterranean coast, the Swiss Alps, and finally to a secret southeast Asia island, where Jake must lever every scrap of his failing brain to prevent an apocalyptic disaster. The narrator did a great job but he can only do so much with the story he has to work with. I purchased the trilogy because it was a box set, 3 for 1, and it had some decent reviews. By 2 hours into the second book it was like relistening to book 1 again, same plot, same bad guy, same stupidity by the protagonist. The hero is supposed to be the most evolved, most intelligent man alive, yet is constantly out witted by the bad guy, who won't die. This super smart person allows himself to be druged and lose his faculties, which puts him in bad situations, over, and over, and over again. 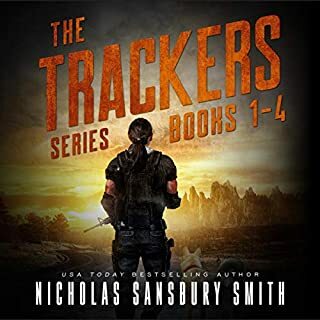 He finds himself at the hands of his enemies that desperately want him dead, but instead of killing him, they monologue, over, and over, and over this allowing the hero to escape. Book 3, more of the same. The super human hero is out witted, druged, trapped by monologuing bad guy. I got to the point where I have spaced out but don't care to go back and relisten to what I missed. Wrapped up in the middle of it alllove 2 super cheesy love stories. At this point, I have 4 hours left and I am just trying to make myself finish. I have over 150 books in my library and have only struggled this much with 1 other book. R.C. Gray does a great job, just not a lot to work with in my opinion. I cannot see it garnering the praise described in the publishers summary. I just couldn’t finish the second book. The story line was pitiful. I was hoping for something a little more than an inept bunch of heroes trying to stay ahead of the terrorists. 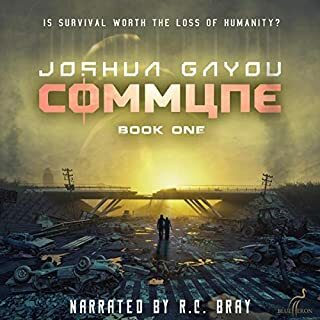 R. C. Bray did a very good job of narration considering what he had to work with. The never ending drama grew tedious very early. The narrator is the only saving grace. Great story - if you're 12. What disappointed you about The Brainrush Trilogy: Box Set? Not a bad premise, but very amateurish writing. Sorry to see RC Bray step down to have to read this book. What three words best describe R.C. Bray’s voice? I could not put my phone down! I can't wait to download the next one in the series. There were many poor reviews of this 3 book series. I found the books to be surprising and entertaining.The author development of all of the characters wss outstanding. I look forward to listening to the next book in the series. Bruce R.
Best trilogy I've ever read. Can't wait to start book 4. The author has a way of describing imagery and situations so you can picture them clearly in your mind; transporting you to that exact place or situation. Phenomenal. Really enjoyed this book set. I was a little unsure going in, as it seemed a little more fantasy than my usual books, but I was highly surprised. There was lots of action from the get go, no sooner had we met Jake and his dire circumstances than the whole world was rocked apart and his life drastically changed. There was intense character development, and interaction between friends, and those who just seemed to get involved, especially those in the military side of the story. Through all 3 books there were huge obstacles, and fights. It got more Sci-Fi than fantasy and I was very happy with the outcome, most of the time I was sat on the edge of my driving seat while listening. So much to go wrong, so many of our fav characters to get injured, or die! eeek. Almost tempted to get the next few in the series, but I've just got them on my wishlist for now, as I've more than a few to get through. :) I'll defo be back for some more, thanks Richard and of course to RC I'm a huge fan. Well narrated but just a silly, overblown, over emotional fantasy rather like a kids comic. Thanks Richard for an entertaining series. I like the characters. 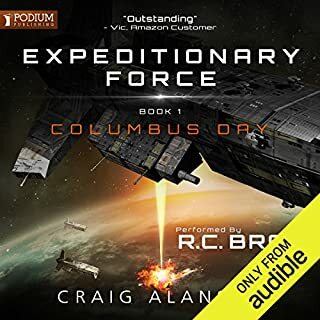 Fast paced and again super narration from RC Bray. All in all I enjoyed these books. It is non-stop and I found the cliches funny. It’s so non-stop, though, that there’s not much space to digest it and I found myself zoning out at times and finding I didn’t know what was going on. It didn’t matter really. It’s not the most deep or mature of stories but it kept me amused. Engaging writing and a great performance. Story line is quite different which makes it even more absorbing. If you like deus ex machina where the only twists in the story are the reveal of the new and exact skills/resources the characters need right now this is for you. If somebody got James Bond, McGuyver, Star Trek Voyager and Neo melted down into one ridiculous universe it would be Brainrush. Only better. But it would still be terrible. RC Bray can't carry much blame here, he's just making his dollars. But this book has too many different people far too often in the same scene. it really stretches his narration as he does like to have an accent for everybody. The source material was just too poor to start with he should never have tried. Headline "RC Bray damages his credibility"
This is the Mills and Boon of Boy books, pulp fiction in its purest form. I hope the paycheck was worth the dent in my opinion of you Mr Bray. Would you try another book written by Richard Bard or narrated by R.C. Bray? I brought this because reviews described it as fluffy popcorn and rc bray was narrating it. I was enjoying it as I find it very easy to ignore silly but the racism got me by the end of the first book. If you enjoyed London has Fallen this is a sure thing..
What aspect of R.C. Bray’s performance might you have changed? The Brainrush Trilogy is predictably American, but I loved it. 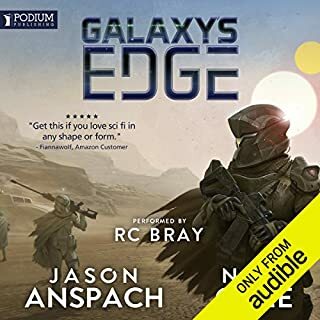 It is a very fun series to listen to and the author has made the characters and relationships within those character believable and he draws you into their particular debacle. It is an "on the edge or your seat" story that had been narrated beautifully. I like the science fiction and geeky elements. These books (I've finished 2 books in this trilogy) are an OK read. Bard's writing style is maturing as the books progress I'm happy to admit. A good overall story with room to grow over many books. I was initially constantly distracted by the endless similes but, after accepting that this is how he described EVERYTHING, I managed to press on. I'm warming to his style and enjoying the books. Just started book 3 and can't wait to get into it. R C Bray has never let me down. Manages a plethora of voices so well. His accents are pretty good and not cheesy. I find myself searching for books that he has narrated. Still a great narrator, if not the best. He makes even an ordinary story a fun read. This is espionage and supernatural senses incorporated in to a story, which is both feasible and current in today’s world political climate. Each book in the series is a development on the last, but a seperate storyline as well. 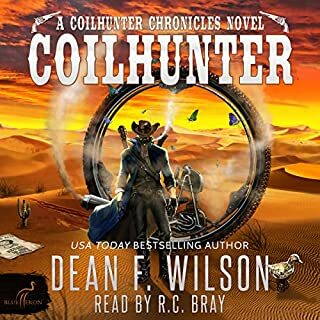 I enjoyed the audiobook of this series and found the rendition enhancing the experience of the story. A cartoonish 'bad guy' cutting his nails with a 9 inch hunting knife should have stopped me earlier, but incredibly I read on until this 'little gem' stopped me cold. "Flesh and bone spread in a circle around the pair like the splatter of a Jackson Pollock painting." I've read better plots off my 4 year old daughters paper mache bowls and, if the artistic simile had not already turned me green, the nauseating right wing undertow would probably have finished me off. In an age when you can't carry anything more dangerous than nail clippers through an airport, it's a shame writers like Mr Bard don't have to check their ideology at the gate. Straight onto my No-Fly list. I have heard RC Bray perform with better material. He's clearly not the problem here. There are people who enjoy recycled cliches. With writers so eager to sell books laced with islamic stereotypes, is there any hope we'll find the human intersection between these clashing cultures in time to save the next generation from repeating our mistakes? This book is so underwhelming and full of cliches that I nearly didn't finish it. In the end I made a game of guessing the next plot line and got it right every time. Richard Bard has clearly watched James Bond fills way to much. The un originality shone through. To my amazement there's more books! Not for me!! RC Bray deserves to work with better material.